The Daily Clog » Tech tip of the week: maintaining your PC! Tech tip of the week: maintaining your PC! This week’s tech tip is for both Mac and Windows with a little catch … read on to see! Now, many people complain at how slow their computer gets as time goes by, and most of the time, it’s our fault. Is your hard drive space getting cluttered with a lot of files you don’t need? 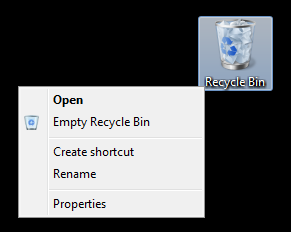 Maybe it’s time to empty that Recycle Bin. 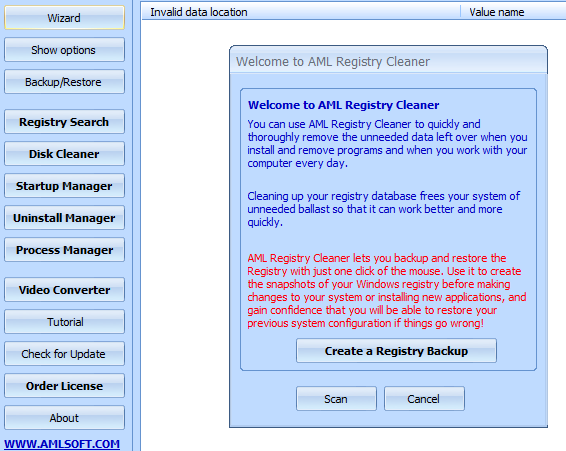 Other than managing your files wisely and thinking about diving into cloud storage, the Clog suggests this nifty FREE application called the AML Registry Cleaner. Windows is great and all, but it’s based off an old system of code. To explain the registry roughly, it’s sort of like a directory and a log for your computer. Problem is, Windows loves to make a lot of registry entries but forgets to delete them. Eventually, these outdated, broken or useless entries can seriously slow down your computer. 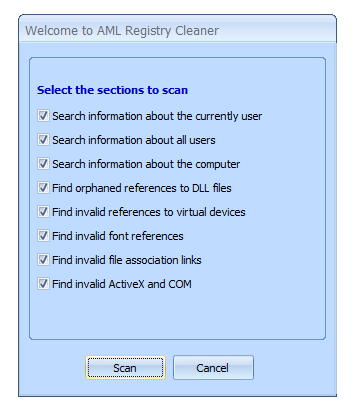 The actual AML Cleaner site has a nice tutorials on how to use the many features the cleaner has, plus the download link (we promise it’s clean!). However, when working with the registry, we suggest backing it up (which we will show you how) frequently as messing up the registry CAN seriously mess up your computer. So clean at your own risk! But it’s totally worth it because AML rarely messes up. But for those of you too lazy to check out the tutorial, here’s one we cooked up for you! Mac users, hold tight — we have an explanation on why you don’t need to do this. Skip ahead if you like. The pop up you see on the right SHOULD come out every time you boot up AML Cleaner, but just in case it doesn’t, just click the Wizard option towards the upper left. Here, you can create a registry backup, just in case something slips! Press “Scan” to continue! Make sure all the boxes are checked, and click “Scan” once more to commence cleaning! Once you’re done, click “Fix all” on the bottom left near the progress bar. Click “Yes” for your final answer and your cleaning is done! If you’re doing this for the first time, don’t be afraid if the cleaner is taking a while. You might have a lot of clutter to clean up in the beginning! The Clog recommends you do this every month or so to keep your Windows computer nice and fast. But wait?! What about the Mac users? Well, good news: Mac doesn’t have a registry. Apple has a nifty checklist for maintaining your Mac/Macbook, and it’s surprisingly simple. That’s one of the beauties of Macs — their nearly maintenance free! Linux users, on the other hand, just scoff and laugh at our attempts at having an organized UI.